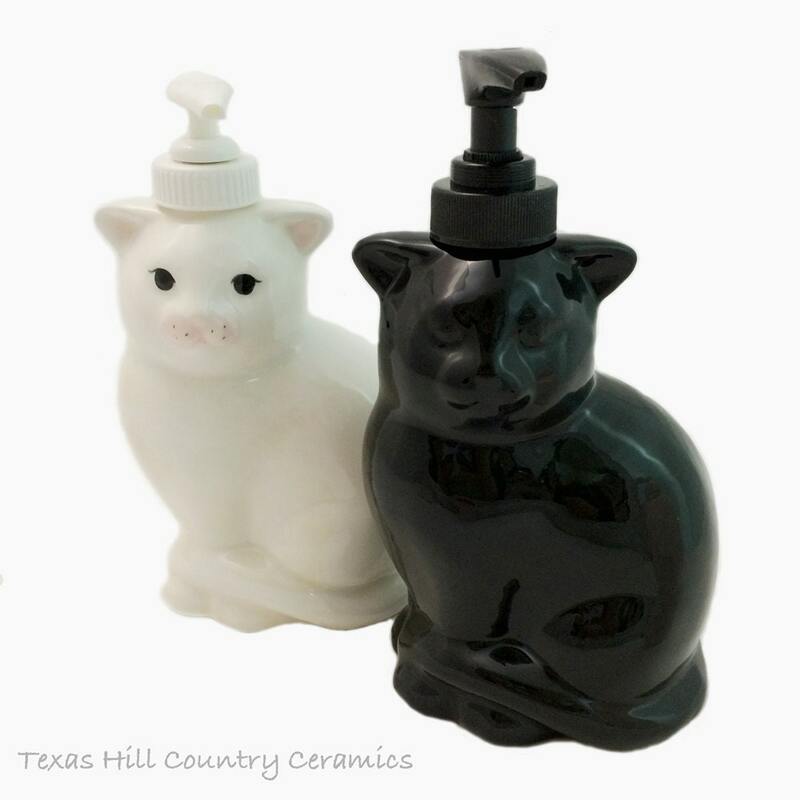 This kitty cat ceramic lotion pump dispenser or liquid soap dispenser bottle is purrrrfect for the cat lover. 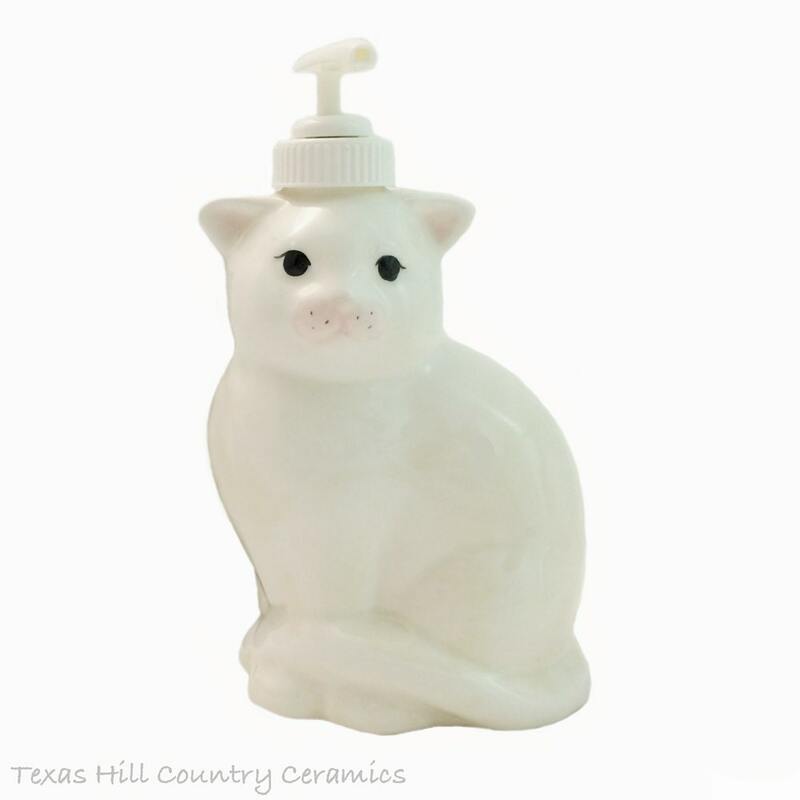 This cat lotion bottle is made of kiln fired ceramics. Each cat dispenser is made of slip cast ceramics from a mold for uniformity and fired in my kiln. The outside is finished in a non toxic glaze and it is also glazed on the inside so it is completely waterproof this is an extra step that will keep the lotion dispenser in pristine condition for years to come. The cat bottle with pump is approximately 7 inches tall, and a little over 4 inches in diameter. The face of the white cat is detailed, the black cat has no detail. This cat will look great in any room of the home or office. This is a Purrrrfect gift for cat lovers. Choose either black or white. 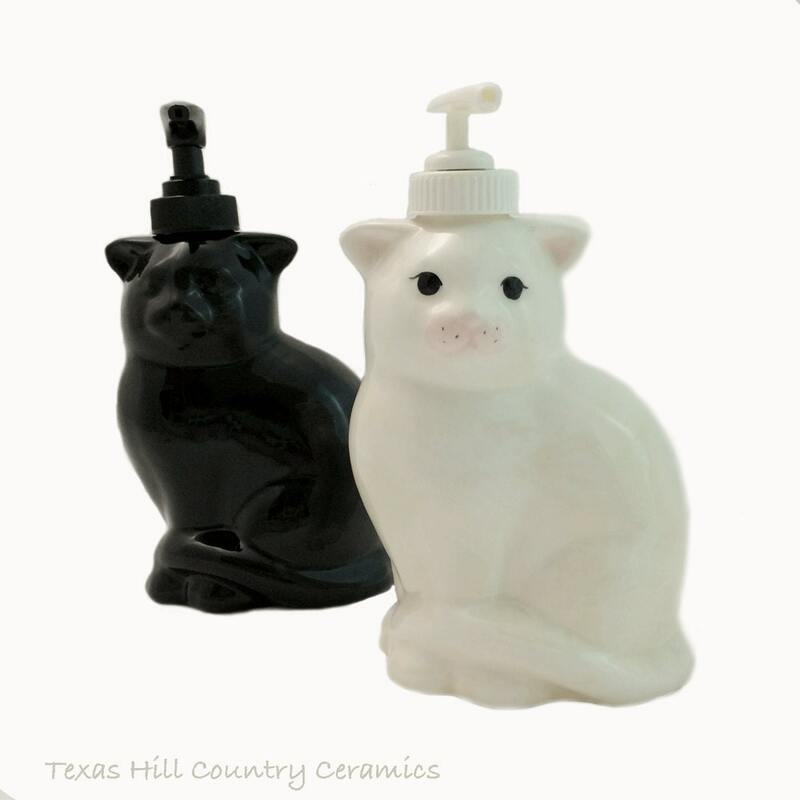 This listing is for 1 cat soap pump dispenser in your choice of color, selections include black or white. The perfect touch for my little cat bathroom. I just had to give her some little eyes- I used duochrome nail polish for the job. Meow! Got the white cat bottle, is as described. 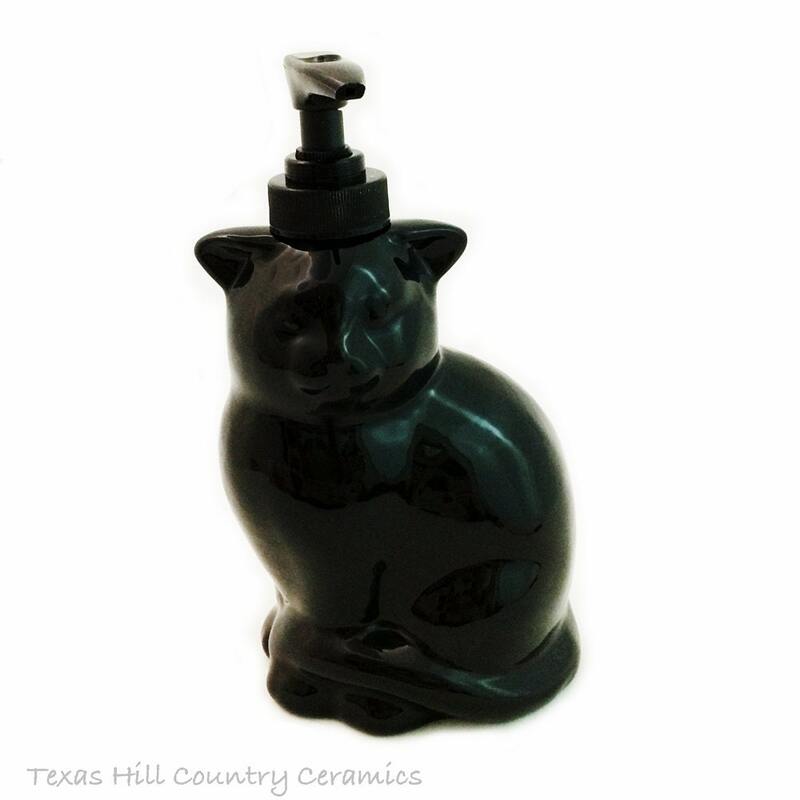 First of all, I absolutely love the cat soap dispenser. Its design, size, and functionality are just beyond my expectation. Second, the artist is very responsible and professional. The communications was fast and prompt. Will be more than happy to purchase again. Received on 12/29. Was very pleased with the workmanship. Well worth waiting for. It will be a great addition to her other cat items. I would definitely buy from here again.